Technophobia Records is a new psychedelic music label from Israel with a strong focus on the dark and twisted Zenonesque style. 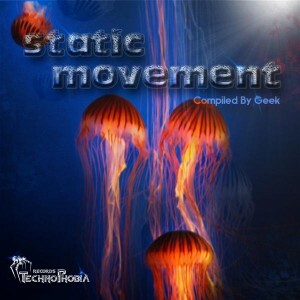 Their first release, Static Movement, is now available as a free download as a thanks from the label to all fans for their incredible support. Featuring nine tracks from scene newcomers and stalwarts alike, this compilation will engage the senses and take you on a deep and psychedelic voyage. MP3 Download | FLAC Download | WAV Download · Download count: 11,077. This is seriously great progressive stuff. A New theory is beautifully uplifting and buddhism is just a sweet progressive track.